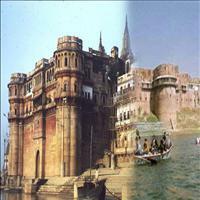 Allahabad is also one of the ancient cities of India. Earlier known as the Prayag, the city finds a mention in the epics of Mahabharata and the ancient Hindu scriptures. Prayag or Allahabad gained importance due to the confluence of the three mighty rivers in its vicinity. 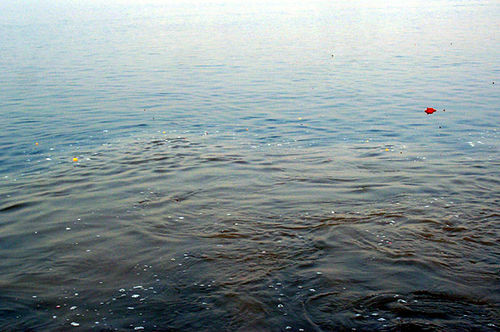 The Hindus believe that if the remains of the dead are immersed in the confluence, the person attains the ultimate moksha. 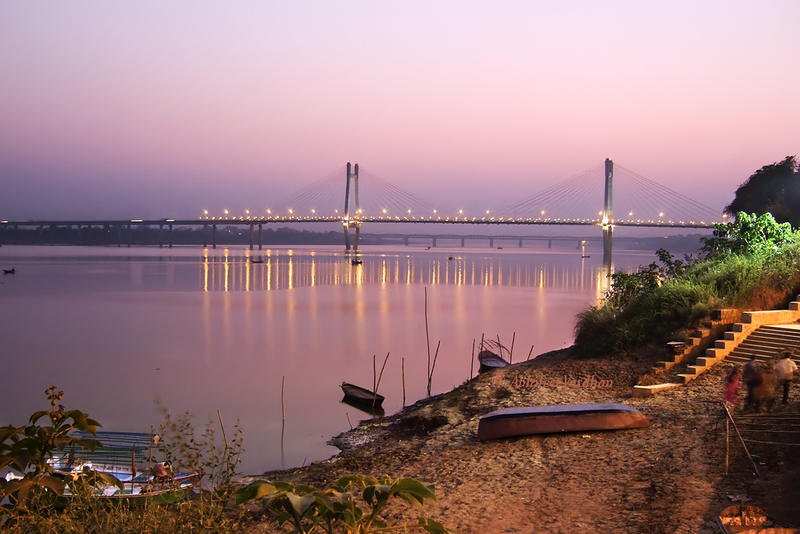 One of the holiest cities of India, Allahabad is also a prominent centre for culture, administration, and education.<br />The place where the three rivers meet is called the Sangam and is the most visited site of Allahabad. It holds a religious fair every 12 years which is attended by largest number of devotees anywhere in the world, called the Kumbh Mela. 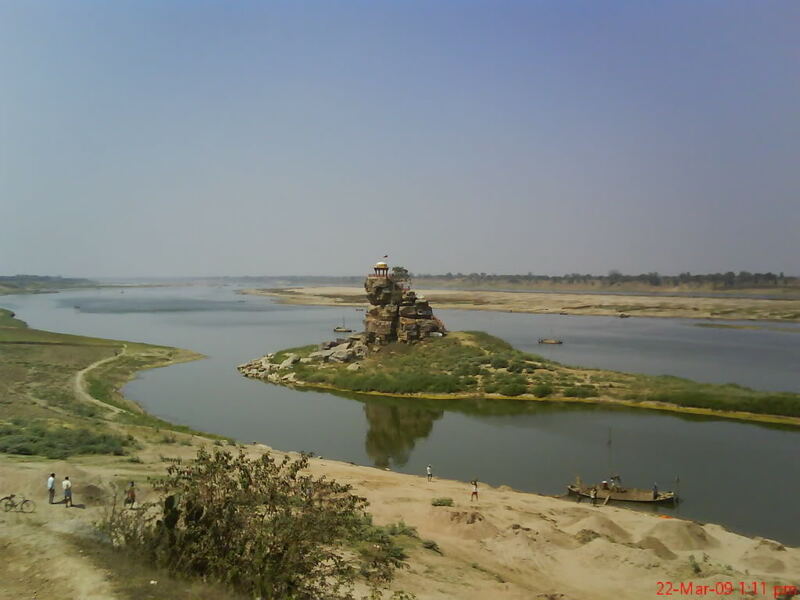 <br />According to legend, Lord Brahma, creator of the three worlds, chose a piece of land where the three rivers would meet and flow in confluence. That piece of land was Prayag which Lord Brahma called the Tirtharaj or King of all pilgrimages. <br />Due to its strategic location and owing to the fertile land, the place soon gained importance and flourished as a trade centre. Prayag is mentioned by the Chinese traveler who visited India in the 6th century as flourishing centre for trade and commerce. 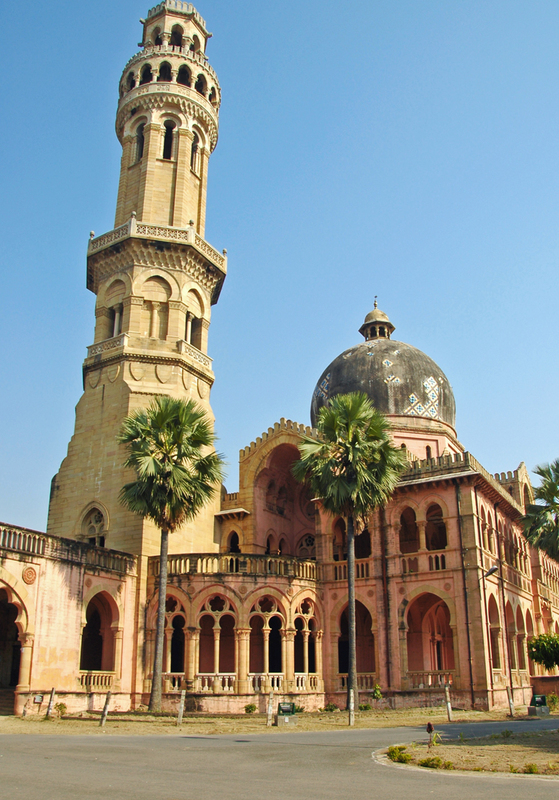 <br />Allahabad remained a prominent place and improved with every rule that governed it. 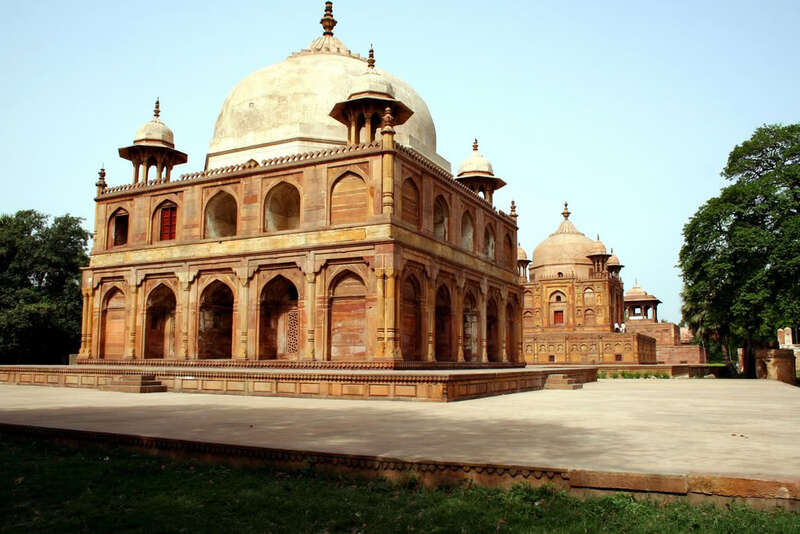 The Mughal emperor Akbar realizing its importance built a massive fort on the banks of the Sangam and called it Illahabas meaning the abode of Allah, the Almighty. Later the name got corrupted to Illahabad and now Allahabad. Even today the elder generation of the town calls itself Illahabadi. 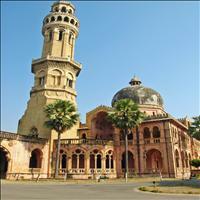 <br />Allahabad has produced many an important personalities who shaped the modern India. The first Prime Minister of free India, Pandit Jawaharlal Nehru and his daughter, Indira Gandhi, also a Prime Minister of India with longest tenure belong to this city. 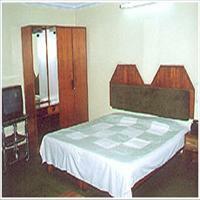 The icon of modern India, the super star of Indian cinema, Amitabh Bacchhan also belongs to this place. 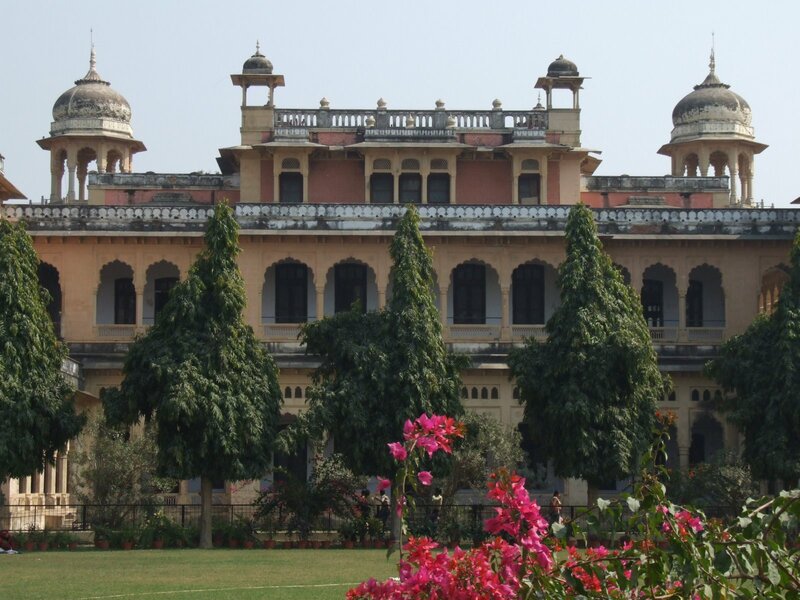 <br />Today Allahabad has become an important educational and cultural centre. 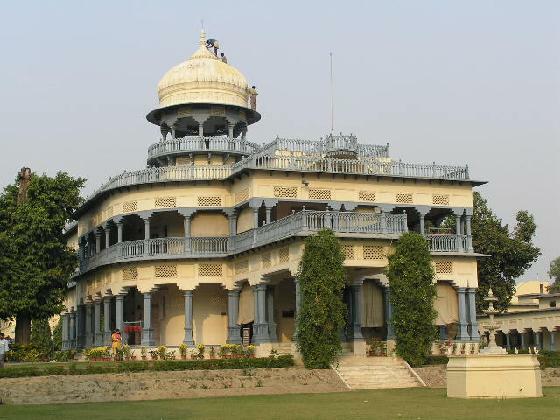 Located around 200 kms from the capital of Lucknow and 150 kms from Varanasi, this ancient city is situated on the confluence of three rivers, the Ganges, the Yamuna and the mythical Saraswati. 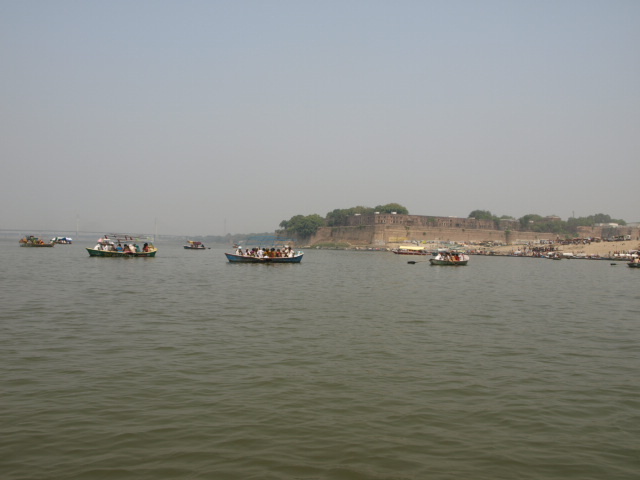 Sangam is the place where the three mighty rivers meet and flow down south east in silent confluence forming the huge Ganga River. 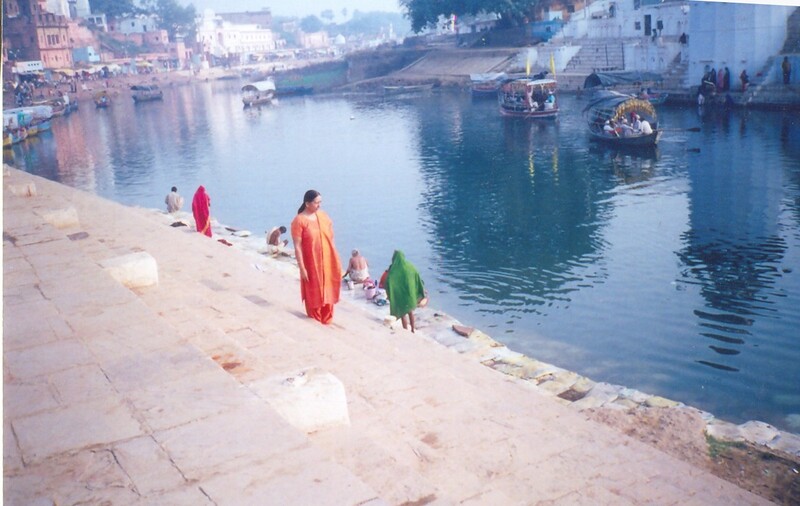 The meeting place of these rivers can actually be seen as the brownish Ganga and the greenish Yamuna while the mystical River Saraswati is not to be seen and is said to be underground. 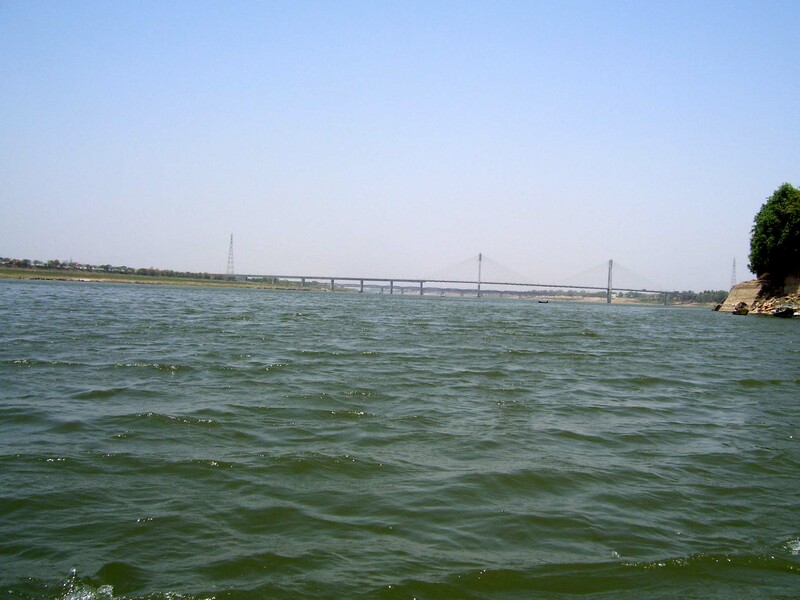 There is a popular belief that the person who has never committed any sin can see the mystical River Saraswati at the confluence. \r\nOne can see many priests sitting on the Ghats here, who help the people to perform the last rituals of their kith and kin. Every 12th year this place hosts the world's largest religious assemblance called the Kumbh Mela. 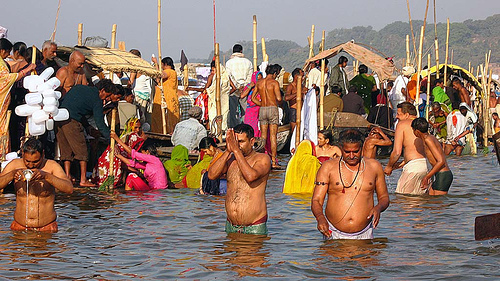 A dip in the Sangam during the Kumbh is considered to be washing of all the sins of the present and the previous births as well. 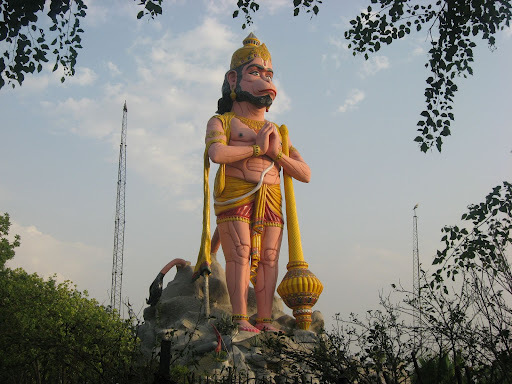 The Hanuman temple of Allahabad is unique as the idol of the God is in reclining position. 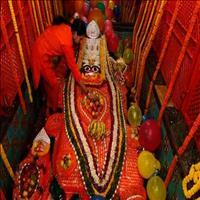 No place in the northern part of India has this kind of idol and therefore it is of great importance. 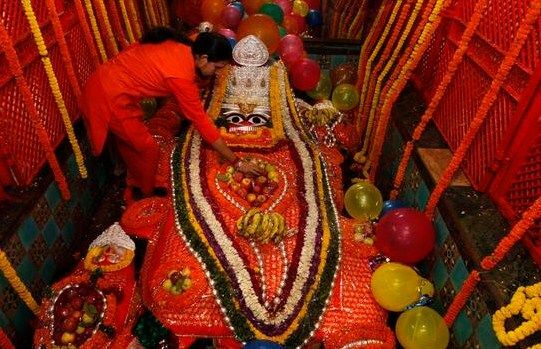 A popular belief is that every year during monsoon the water of River Ganga rises and recedes only after touching the feet of the idol. 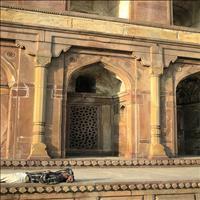 Khusrau was the son of the Mughal Emperor Jehangir who had tried many times to assassinate his father in vain. 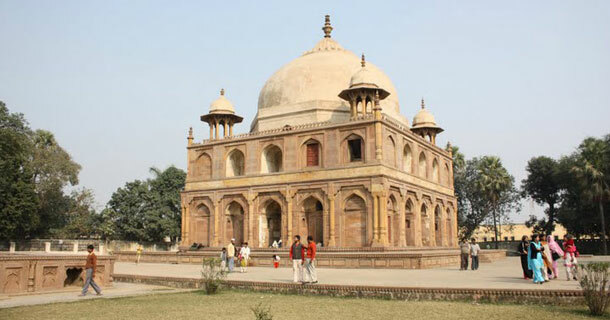 The Khusrau bag is a huge garden where Khusrau and one of his sisters are laid to rest. 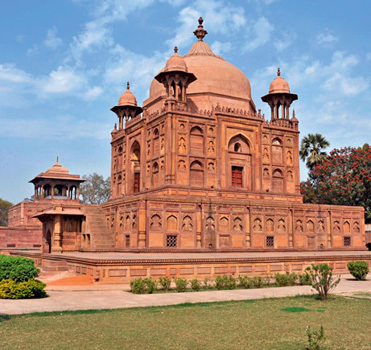 The beautiful garden houses the tombs of the two siblings, children of the Emperor Jehangir. 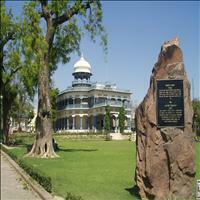 Anand Bhawan is the erstwhile ancestral home, of the most famous political family of modern India. 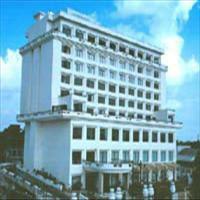 Four prominent personalities playing a pivotal role in the Indian politics stayed here at some point or the other. 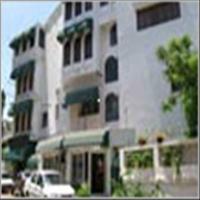 The family which gave the country three Prime Ministers, namely Jawaharlal Nehru, Indira Gandhi and Rajeev Gandhi stayed in this beautiful building in the early 20th century. 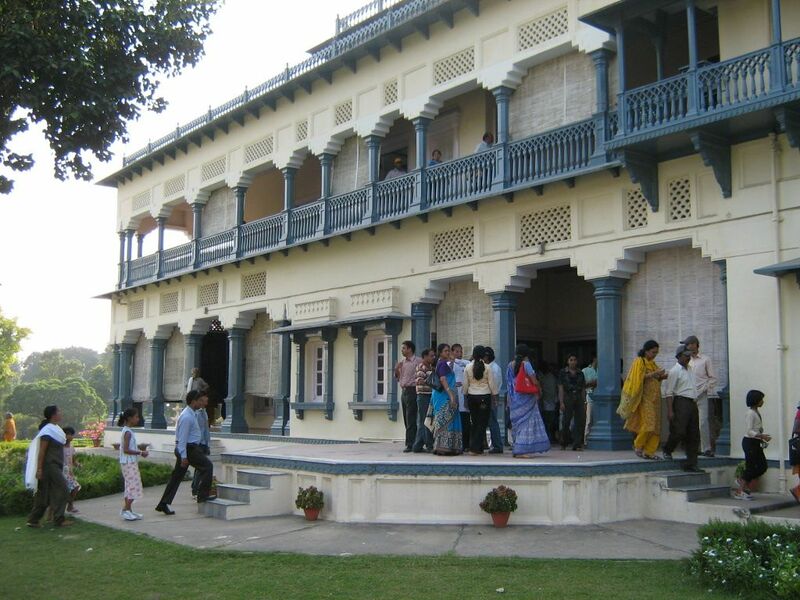 Built by the veteran freedom fighter Motilal Nehru, after donating his earlier house to the congress party in 1930, Anand Bhawan has now been transformed into a museum. 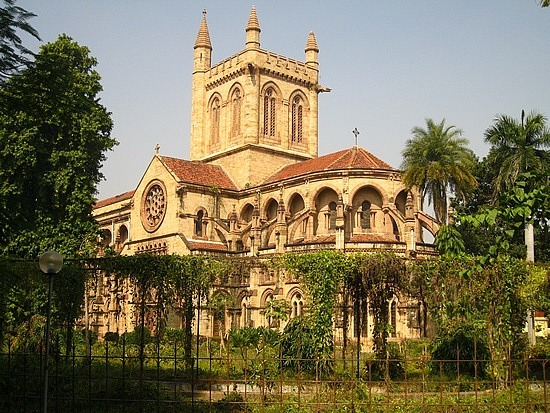 The Indo-Gothic architecture of this house gives it a grand appearance. The Swaraj Bhawan next to it too was the residence of the Nehru family which was donated as the office for the Congress party during the freedom struggle. 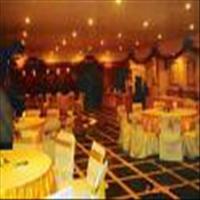 \r\nToday the spacious garden of the Anand Bhawan accommodates a small planetarium as well. Timings: 9.30 A.M. to 5.00 P.M.
Mayo Memorial Hall is situated near the Thornhill and Myne Memorial and is a beautiful building build in Gothic style of architecture in the late 19th century. A huge tower around 180-feet high, stands next to it. The interiors of the hall are beautifully ornamented with various designs. The hall which now houses the public library was meant for public meetings, halls and receptions. It was actually built in commemoration of the assassinated viceroy. 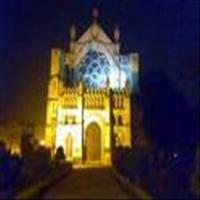 This beautiful Gothic structure was built nearly a century ago. 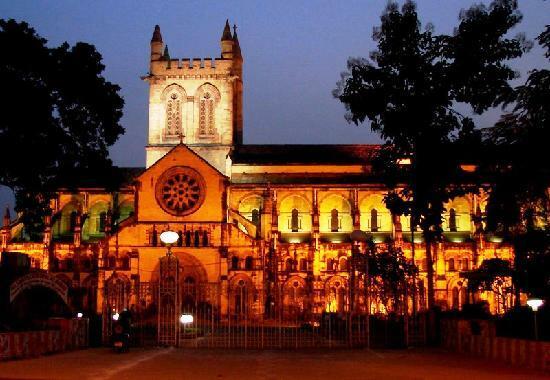 One of the best in this part of India, the All Saints Cathedral has some of the finest stain glass interiors. Another structure reminiscent of the British Raj is the Muir College building which was established some 125 years ago. 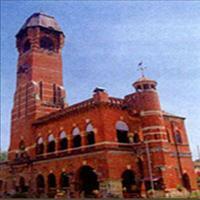 Built by architect Emerson from Britain this fine structure was opened in 1886 A.D. and is running till date. Chitrakoot:\r\nChitrakoot means a beautiful mountain and indeed the place is beautiful. Around 130 kms from Allahabad on the borders of Madhya Pradesh Chitrakoot today has become an important pilgrimage centre. There are many temples and bathing Ghats here. 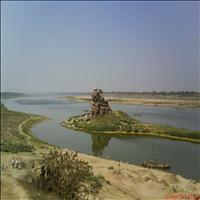 According to Ramayana Ram and Sita along with Lakshman spent 11 years of their exile in Chitrakoot. 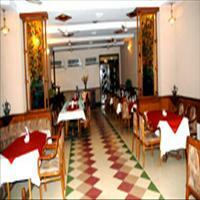 \r\n\r\nGarhwa:\r\nIt is just five kms on the outskirts of Allahabad. It has many ruined temples probably built during the Gupta period. The beautiful stone carvings and motifs are not to be missed.